In summer 2018, we ran a contest and asked all of our UK pioneers to contribute their favorite Highlights to the komoot community. 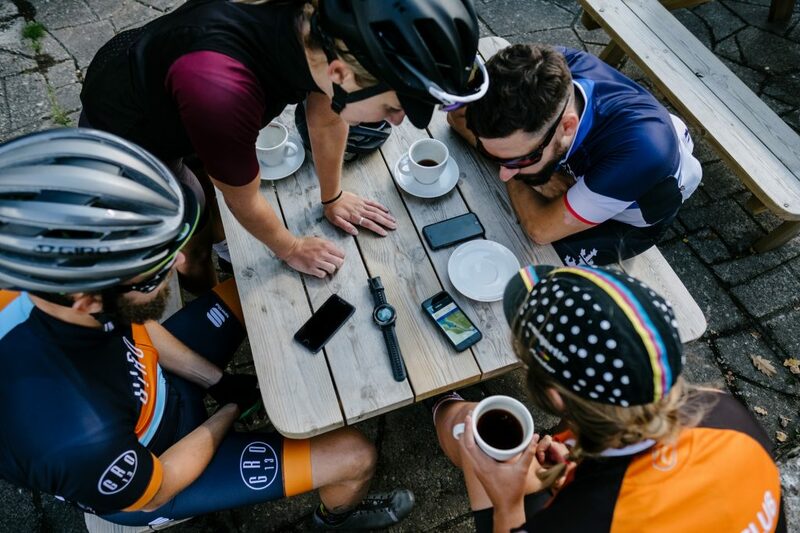 And you did just that: In total, over 800 Highlights were uploaded to komoot — from viewing points, local wood lanes, singletracks and cafes — and we’ve never been so inspired. Out of everybody who participated, four Pioneers really stood out. The winners were Eleanor, Lexi, Neil and Barry. 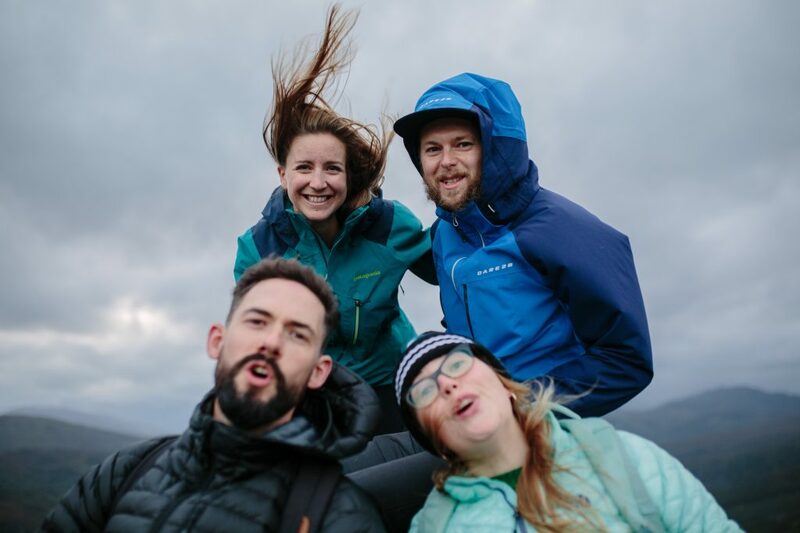 These four extraordinary everyday explorers contributed an incredible number of breathtaking Highlights to inspire other komoot users — and they got to join us on a four-day adventure in the Scottish Highlands. This is their story. Landing at Glasgow airport, four strangers linked only by komoot immediately bonded over their shared passion for outdoor pursuits. 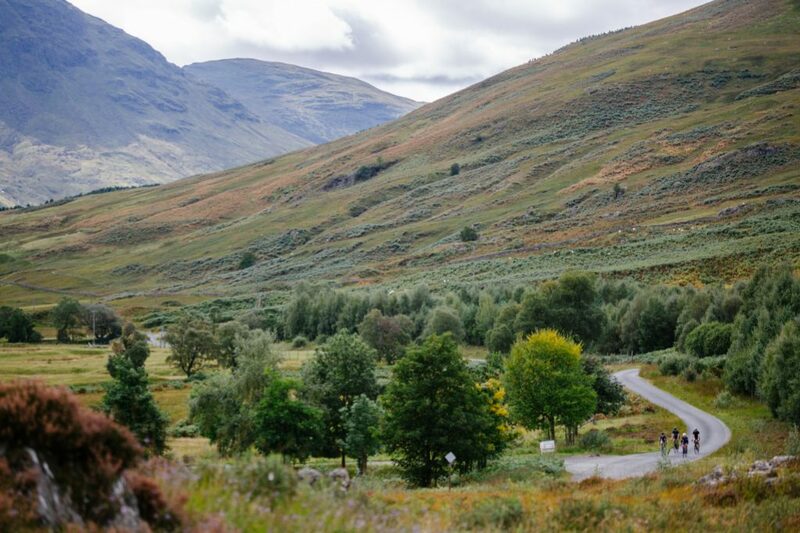 Setting off out of the terminal, we all drove deep into the Trossachs National Park; a place where motorways quickly turned into singletracks and skinny country lanes are shadowed by oak woodlands. 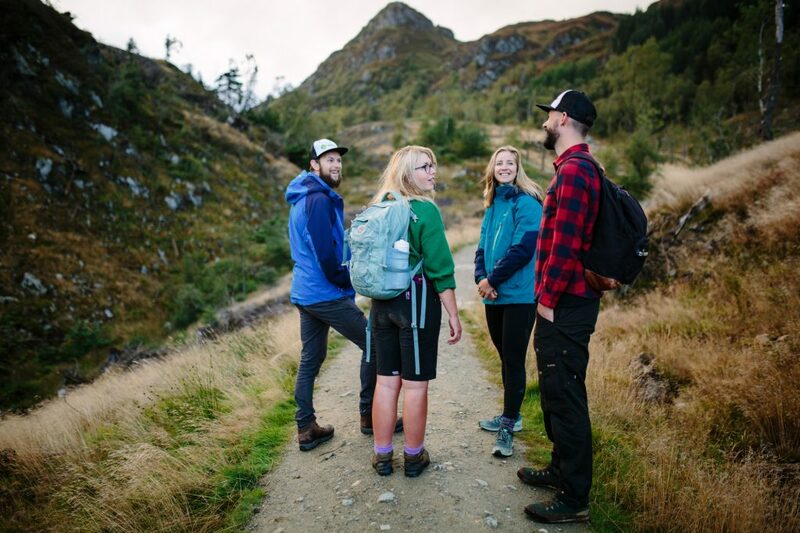 The national park is home to red deer, freshwater lochs and the craggy Ben Lomond towering high, and it’s the perfect place for four people bound by the love of discovery to experience the adventure of a lifetime. Lexi, who is currently starting to think ahead to the next race season, was keen to use the Scottish mountains to clock up some vertical ascent. Her job takes her all over the world, and she always takes her bike with her wherever she goes. She shares how komoot has given her the confidence to go out and explore completely new places, with the reassurance that if she is passing through Highlights, the path has already been traveled and has been recommended. Barry, who is drawn to adventure riding, was introduced to the outdoors by his father as a young boy. He spent his summers building campfires and camping out, and he wanted to get deeper into the national park and off the beaten track over the course of the weekend. Neil, the ‘Local Scot’ from Edinburgh, was itching to show people around what was essentially his backyard. He just wanted to do so quickly whilst the sun was still out. With this in mind, the group quickly got to planning their routes for the rides ahead. Eleanor, an enthusiastic audax rider, added “The routes need to include cake! 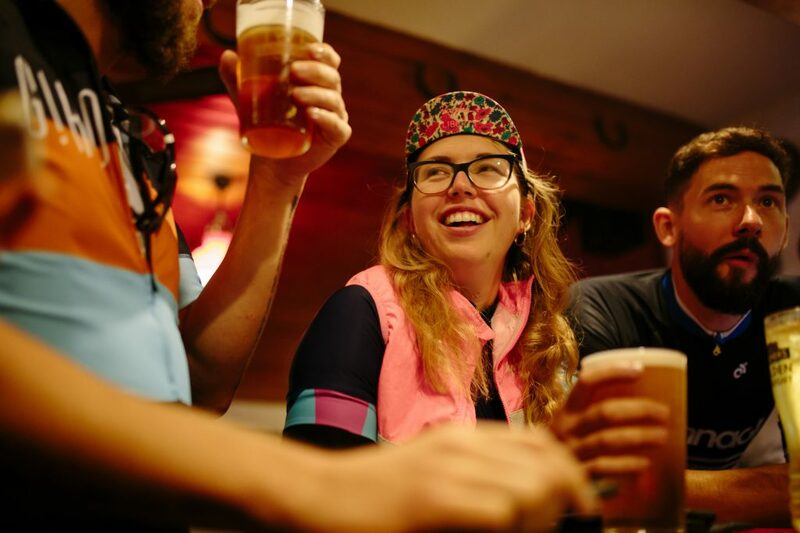 Cake brings a purpose to a ride or hike.“ In fact, some of the top Highlights Eleanor has shared alongside Bothies and steep Welsh passes and unexpected cake stops. It was getting dark by the time we pulled up to our Lochside lodge standing alone a good twenty minute drive to the nearest tiny town – the perfect basecamp. That first evening we spent doing some group route planning, assembling bikes and sampling local whiskey, then it was off to bed to get some much-needed sleep in preparation for a big few days. Waking up as the sun rose, the squad was already outside and being convinced by Eleanor (who is a regular wild swimmer) that a morning dip in the loch was the best and most refreshing way to start the day. Some persuasion was required but gradually everyone agreed and the whole group quickly found themselves wading into the crystal clear waters. We had the entire loch to ourselves accompanied only by the sounds of the dawn chorus mixed with the odd splash as each person took the initial plunge. Back on dry land, we quickly warmed up with a wonderful hot cooked breakfast. Once you have tucked into a bacon roll, it’s amazing how quickly you forget that you were frozen a minute ago. With sweets and cereal bars in pockets, the squad headed out. They whizzed around Loch Katrine and took on Duke’s pass, a climb renowned for its twists and turns and steepness in sections. 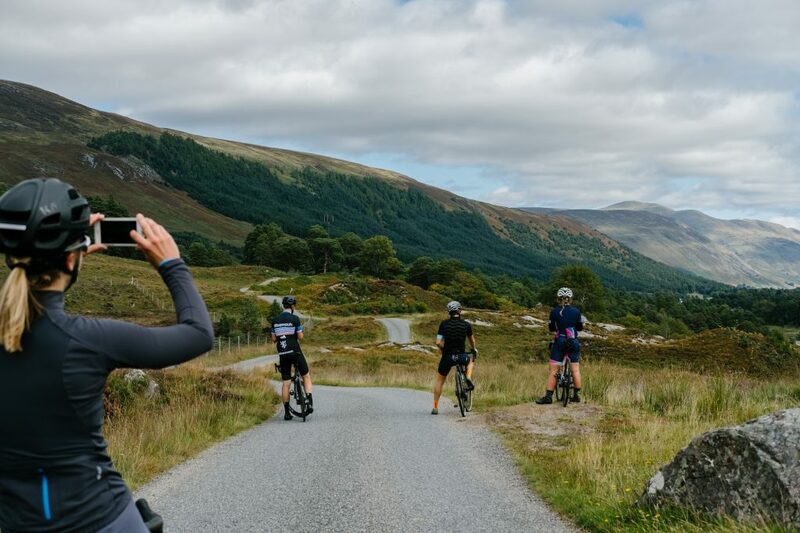 This epic ascent rewards all who summit it, however, with extraordinary views over the stunning Scottish landscape and, of course, the subsequent descent. As we rode, the conversation flowed and our four Pioneers got to know more and more about one another. Cycling alongside someone for a few hours lends itself to learning more about a person, compared to years brushing past each other in an office. Returning to the lodge after the ride, we quickly refueled and swapped out our kit. The next adventure was going to be one on foot. Heading out, we had no clear plan on where we wanted to go and what we wanted to see. Instead, we just used komoot on the fly to stick to singletracks and footpaths. This hike was all about discovery, and we quickly realized that in Scotland, you sometimes have to trudge through boggier ground and forego any hope of dry feet to get to the secluded stunning viewpoint that you’re after! It doesn’t always go totally to plan though, as our hopes of seeing a stunning sunset were quickly quashed by the slightly moody Scottish weather. And even though large clouds firmly ended this plan, a twinkle of light down below coming from a local pub instilled in us a sense of hope. Laughing about the outcome of the evening hike we decided heading to the pub to warm up was a great sunset alternative. The pub was full of hardened locals used to living in this remote location and we didn’t look out of place in our waterproofs and hiking gear. There was wifi here, though, and we took full advantage, plotting routes (plan A, B and C) and saved them for offline use the next day. As we sat around — beers flowing and crisps enough to suppress the hunger — stories were shared of previous adventures and travels. The North Coast 500, Trans Cambrian Way and the Transcontinental all having been attempted. Rolling out on Saturday morning the plan was a big ride, looping up to Loch Tay and deeper into the national park. To get the blood pumping early, we decided to tackle Kenknock climb: a leg burning, two-mile long, 10% incline. From here, there was nothing but beautifully undulating roads to enjoy and stunning empty mountains — for 62 glorious miles. 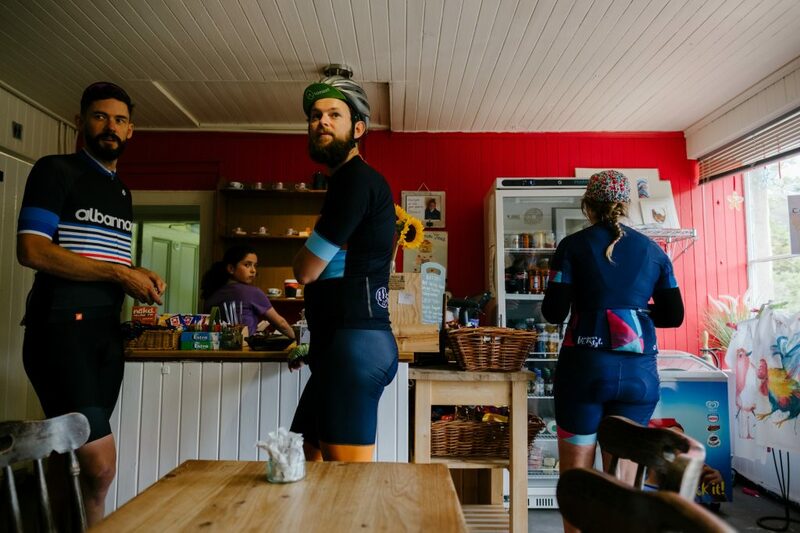 Thankfully, the wilderness managed to produce a much-desired cafe stop on a couple of occasions. This weekend’s bite-sized adventure sure had a lot thrown in, and after already clocking up a fair bit of mileage and ascent, it was decided that there is always time to squeeze in one last thing. 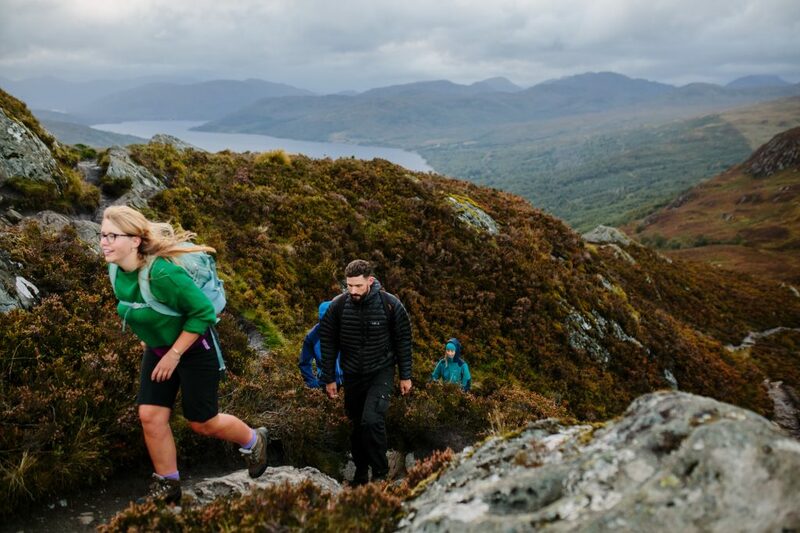 But how do you best round up a weekend of adventure in Scotland? Maybe hike up a mountain and take in the sunset with a swig of whiskey? We think so. As the sun started to set, we powered to the top of Ben A’an with very heavy legs to catch the last few rays. When we were up on the top of the world, enjoying the endless expanse of glorious lochs and glens rolling across the landscape, we toasted the weekend and promised that we will do it again sometime.